An eight year old boy sees dead people everywhere. Mr. Night Shyamalan, as the Writer/Director gives us one of the best ghost stories ever. 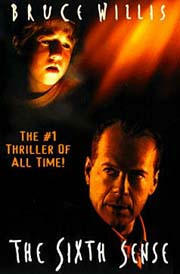 The cast includes: Bruce Willis, Toni Collette, Olivia Williams, and Haley Joel Osment.